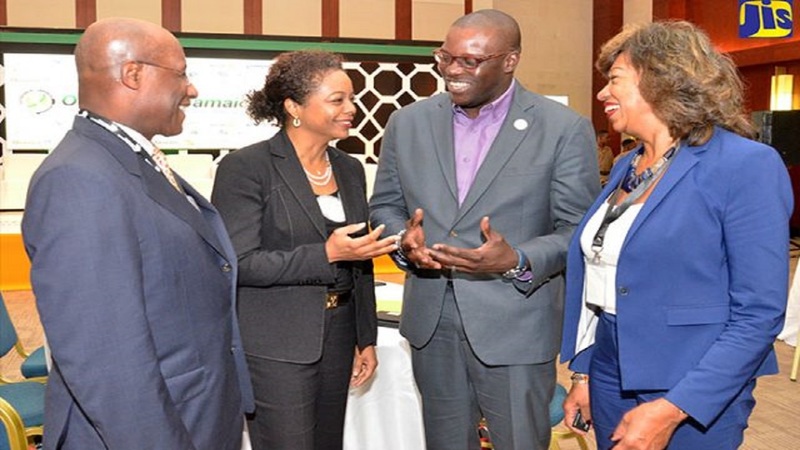 Attorney General, Marlene Malahoo Forte (second left), shares in discussion with (from left) Executive Director of the Economic Growth Council, Senator Aubyn Hill; Managing Director of Flow Jamaica, Stephen Price; and President of JAMPRO, Diane Edwards. 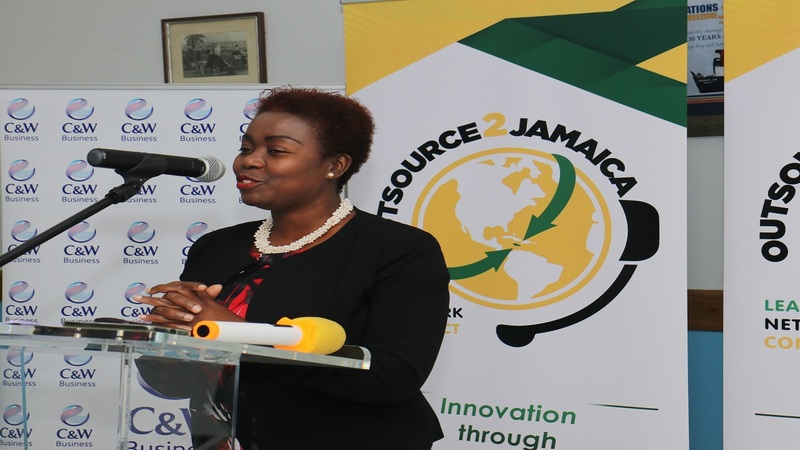 The occasion was the opening of the inaugural Outsource2Jamaica Symposium and Expo at the Montego Bay Convention Centre in St James on April 12. The Government is projecting some 200,000 jobs in the business process outsourcing (BPO) sector within three years. The sector currently employs some 26,000 persons and contributed US$400 million to the local economy last year. A major push within the sector locally, came in the form of a symposium in Montego Bay, St James last week. In delivering the keynote address at the opening of the inaugural two-day Outsource2Jamaica Symposium and Expo at the Montego Bay Convention Centre in St James on Thursday, Attorney General, Marlene Malahoo-Forte, outlined that the BPO sector is pivotal to the Government's growth projection. But she highlighted the need for all stakeholders to be on board to guarantee that there are qualified workers ready to be placed in the jobs that are expected to be made available. “The Business Process Industry Association of Jamaica (BPIAJ), which is responsible for hosting this symposium, has just recently signed a memorandum of understanding with the HEART Trust/NTA to provide training, specifically for the industry,” noted Malahoo-Forte, who is also Member of Parliament for West Central St James. “We also have a Housing, Opportunity, Production and Employment (HOPE) programme that is working to ensure that young school leavers are ready for the thousands of jobs in this industry,” she added. 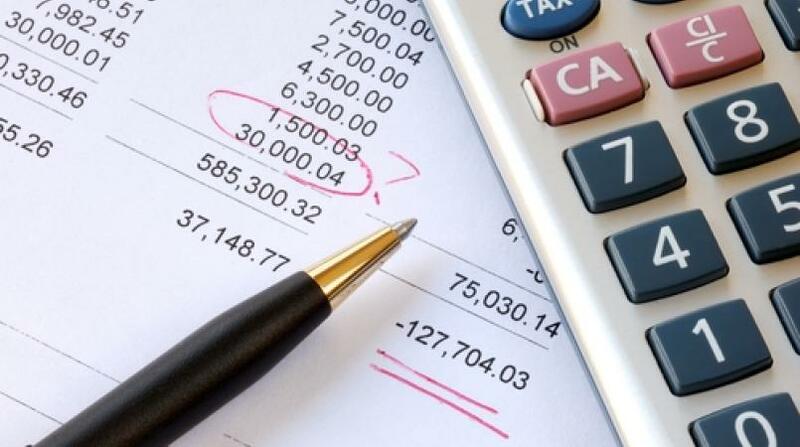 Meanwhile, Malahoo-Forte noted that over the last year, public and private sector interests have put in an additional 800,000 square feet of BPO space across the island. 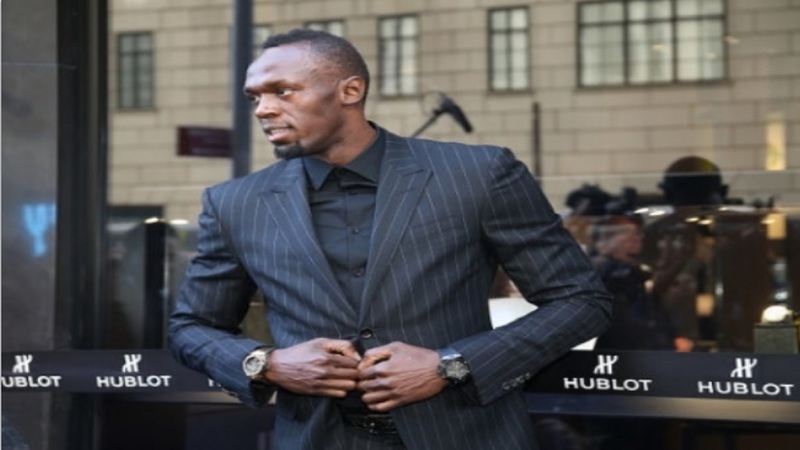 “The Montego Bay BPO project has already been completed, and is to be launched in the coming weeks. This one is near and dear to my heart, because it falls in the constituency in which I am the Member of Parliament,” she said. The Outsource2Jamaica Symposium and Expo was staged by the BPIAJ and other stakeholders from April 12-13, to provide a platform to further market Jamaica as a BPO destination.